LAGOS, May 22, (THEWILL) - Lagos State Government has appointed Prince Adesegun Olusola Ogunlewe as the new Head of Lagos State Public Service after a week of rigorous selection process. In a statement signed by the state Commissioner for Information and Strategy, Comrade Opeyemi Bamidele, Ogunlewe’s new appointment takes effect immediately. His appointment put a stop to the quest of the Public Service Office Permanent Secretary, Mrs. Adedoyin Anne Olusoga and her colleague in Lagos Television, Mr. Olalekan Adeleke Ogunbanwo to clinch the state’s topmost public service job. A blood brother of former Minister of Work under the President Olusegun Obasanjo administration, Chief Adeseye Ogunlewe, the new head of service was the permanent Secretary in the Ministry of Establishment, Training and Pensions. He has also served as Permanent Secretary in the state Civil Service Commission and Public Service Office. Born to the Royal family of Igbogbo in the Ikorodu Local Government, Ogunlewe attended United African Methodist Church Primary School in Igbogbo between 1959 and 1964 and Oriwu College between 1965 and 1969, according to the statement. In 1972, the new helmsman of the state public service gained admission into the Department of Sociology, University of Ife, Nigeria (now Obafemi Awolowo University) in 1975 where he bagged Bachelor of Science (Honours) Degree in 1978. Few years after his first degree, Ogunlewe returned to the University of Ife for Post-Graduate Diploma Public Administration (PGDPA) programme in 1982/83 Academic Session. Lagos State Government sponsored the programme. A thorough-bred technocrat, Ogunlewe joined the state Civil Service in 1979 and served in various capacities including Secretary to Lagos State Road Safety Corporation, Lagos State Ferry Service Corporation; Joint Secretary to the State Executive Council, Private Secretary to the Governor and Executive Secretary, Land Use and Allocation Committee. 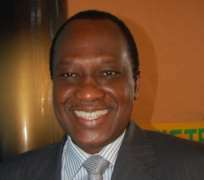 He was elevated to the enviable post of Permanent Secretary in February 2001 and had served in the defunct Post-Primary Teaching Service Commission; Public Service Office, Civil Service Commission, Parastatals Monitoring Office and Ministry of Establishments and Training, before this new appointment as Head of Service of Lagos State. Ogunlewe is married with children and is a Fellow of both the Institute of Public Administration of Nigeria (IPAN) and Nigeria Institute for Training and Development (NITAD).